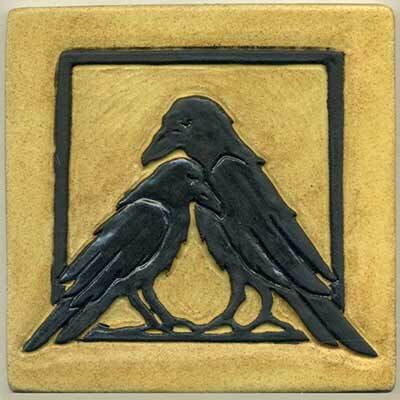 A 6" square tile, this pair of ravens is sculpted in relief. This deisgn is courtesy of Liz Skelton of Yosemite Blue Butterfly Inn and is based on her original woodblock print. 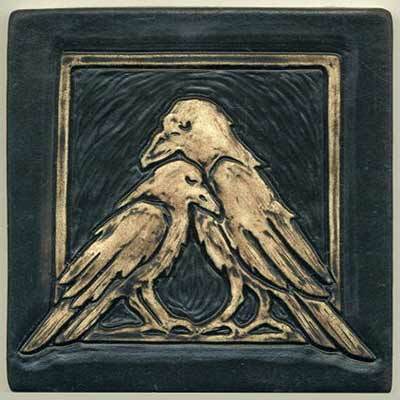 This tile is available in any single stain or glaze or a two color option. 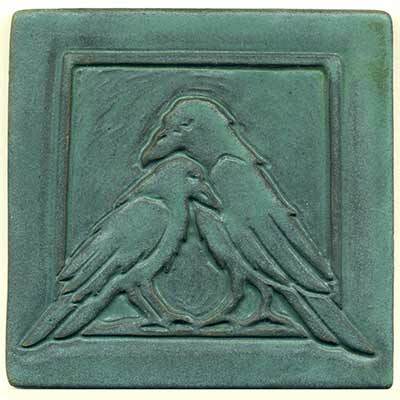 Colors shown: wrought iron overall with wiped highlights; antique green overall; wrought iron ravens with pharsalia background.